♣ It dissolves quickly, easily to remove dirt from the glass. ♣ 1PC Cleaning Tablet equal to 4L car glass water! ♣ More efficiency than traditional cleaning agent. ♣ Blue color, small size, price cheaper and easy for carrying. ♣ Packed bt milk film, color box, alum film, etc. Why is it important to choose a reliable windshield washer fluid? 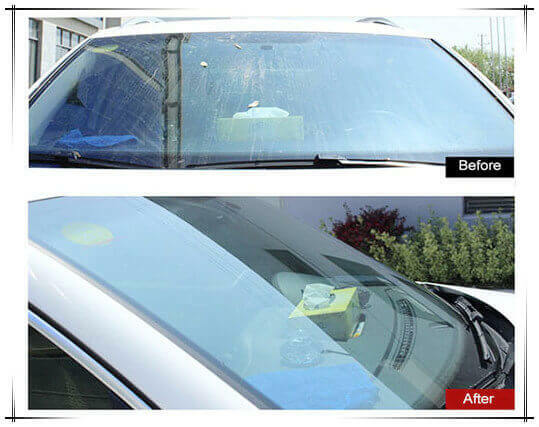 Long term use in outdoor environment, your car's windscreen is blurred already and with many scratches. According to the statistics of authority department, in the collision accident, 70% of them are caused by the poor vision of windscreen! it is easier to shorten the service life of the adhesive tape and the windscreen would be hard to be cleaned! Actually, make your own windshield washer fluid is so easy things! These condition always caused serious injury to the windscreen wiper. which cannot be completely cleaned, resulting in blurred vision. Do you have such wrong practice? Instead of washing the car with all season windshield washer fluid, use dish washing powder, washing powder, etc.? Or directly wash the car with clean water? What harm does it bring? Clog the spray nozzle, Corrode the rubber hose, Harden the windscreen wiper, scrape the windshield surface. OPS Effervescent Cleaning Tablets, make the best windshield washer fluid. Seven major advantage and feathure of the concentrated effervescent tablets. ♦ Quickly clean the oil film of windscreen without water stain, and could extend the life of windscreen wiper. ♦ Long term use of this product can soften the windscreen wiper, thus better attach to the windscreen and to provide longer service life. ♦ No scratches or corrosions on the windshield, without corrosion. ♦ 1PC Cleaning tablet equal 4L car glass water, save space in the car. ♦ The windscreen is clean and traceless, more transparent, let you to drive more safely. 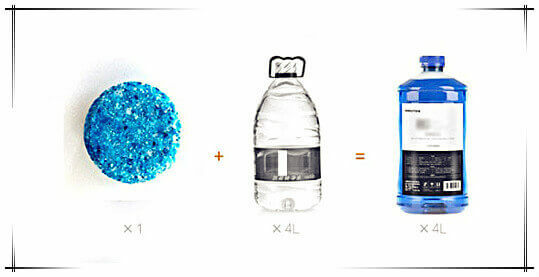 ♦ Whatever the client use it in any seaon, windshield washer fluid for winter also has excellent effect! How to use the effervescent cleaning tablets? 3. Turn on the auto cleaning equipment in the car and the cleaning is finished. You see, homemade windshield washer fluid is easy or difficult working? The answer is a simple task! Delivery date Around Two Weeks.